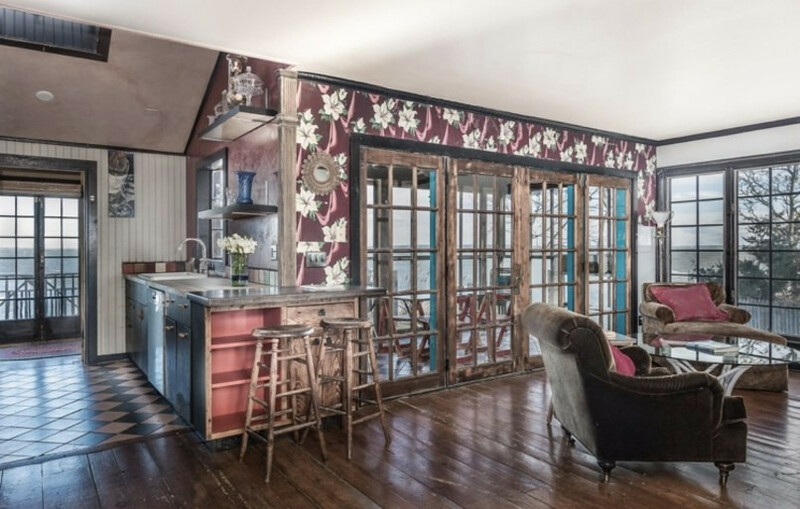 Can You Guess Which Girls Actor Calls This Rustic Hamptons Gem Home? Calling all Girls fans: Ever wonder how your favorite characters live IRL? Best known for her role as Jessa Johansson on the hit HBO series, Jemima Kirke has long epitomized everything we admire about the show’s down-to-earth approach to city living. Considering Kirke is the ultimate cool girl (on and off the screen), it should come as no surprise that the London-born actor resides in an equally nonchalant home when she’s spending time out East. 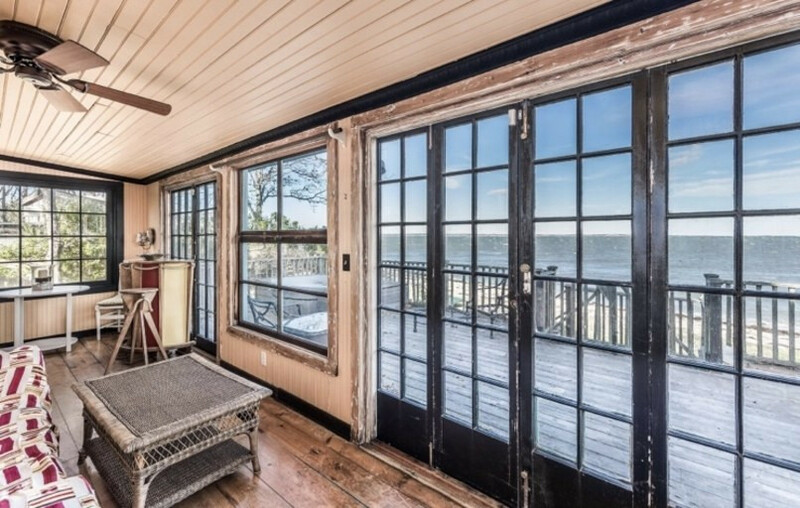 According to Architectural Digest, the star’s 117-year-old family waterfront house in East Hampton has just graced the market for $2.955 million. James Petrie of Compass holds the listing. Tucked away along Gardiners Bay, it’s obvious that the 2,000-square-foot abode was made with edgy, free-spirited homeowners in mind. Built in 1900, the property’s century-old bones provide a dreamy framework for design buffs who would appreciate vintage details, rustic finishes and quirky layouts. And even if the upkeep of an older home scares you, it’d be pretty hard to say no to a (private!) sandy beach. 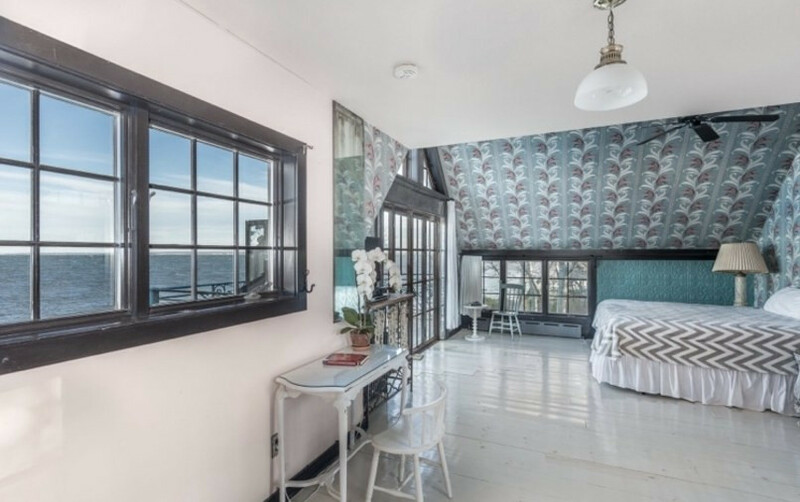 While Kirke’s waterfront residence has seen its fair share of updates — championed by none other than the actor’s mother, interior designer Lorraine Kirke — the home still manages to look seemingly untouched, leaving us wanting to see more. In the kitchen, worn-wood shelves, wide plank floors and hints of wallpaper recall the home’s colorful East Coast past. 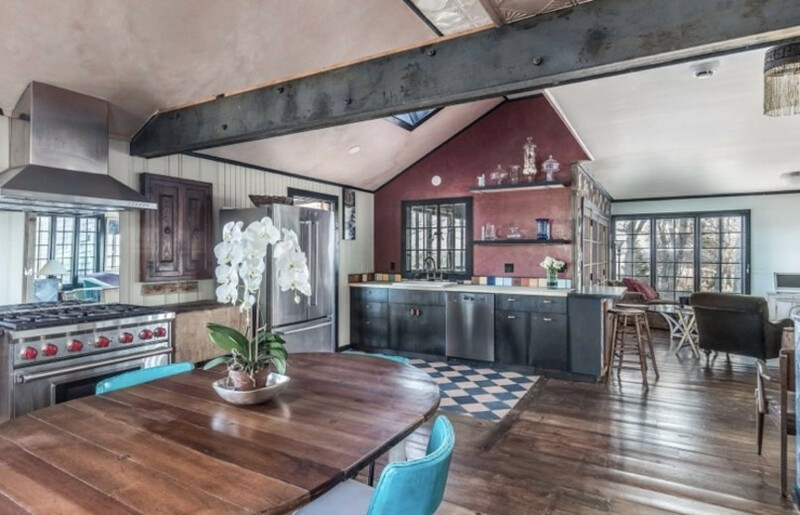 Arguably the most unique feature in this space, an impressive iron beam visually bisects the room from above and adds to the kitchen’s rustic aesthetic. A decidedly cozy place to cook in the cooler months, it’s easy to picture creative minds (and artistic A-listers alike) gathering around the quaint breakfast table. Just off the kitchen sits a spacious living room, which offers idyllic ocean views due to an abundance of windows that surround the eclectic space. 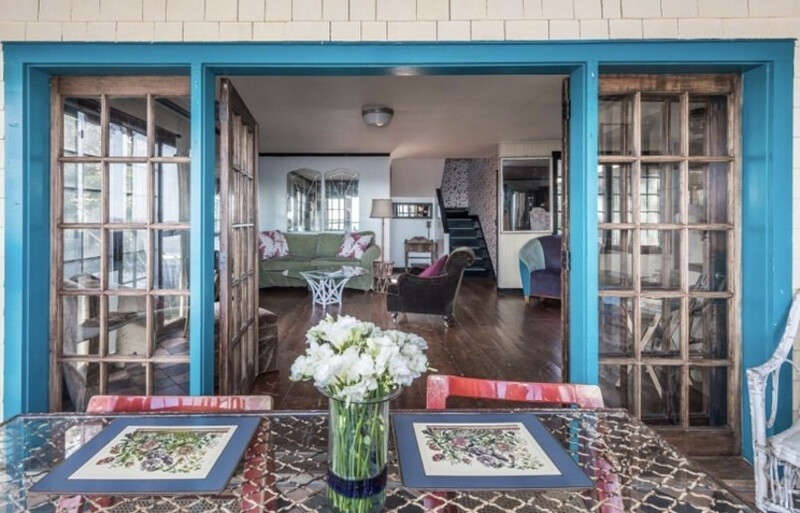 An adjacent sunroom provides additional seating and equally cheery vibes with its tiled floor and turquoise-trim door. Upstairs, potential buyers will discover three bedrooms (in addition to a bedroom on the main floor) and plenty of snug nooks that are perfect for reading on rainy days. Of course, during the summer months, there’s no better place to be than on the sundeck. The sprawling deck overlooks the boundless lawn leading right to the beach’s edge, providing direct access to the water for those craving a cooling swim. 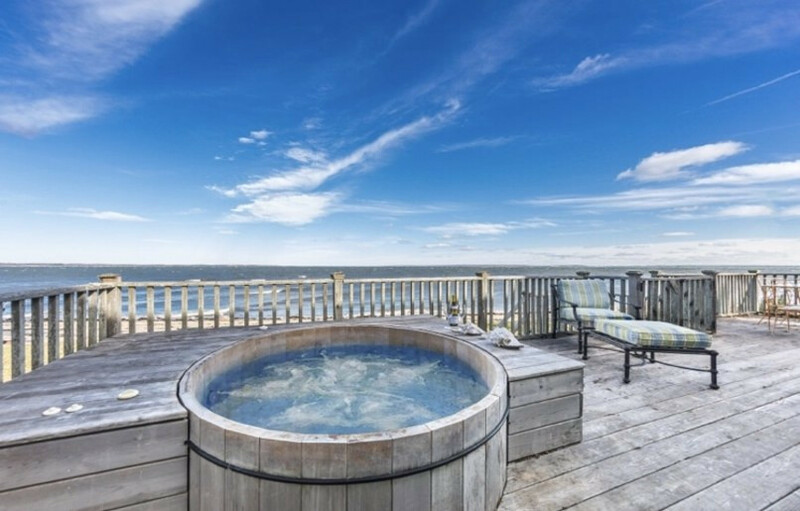 However, with plenty of room to lounge about and a built-in cedar soaking pool in the middle of the deck, homeowners will likely feel encouraged to stay just where they are. Not only does Kirke’s family residence on Gerard Drive come with a private beach, but it’s also one of the largest lots on the street. 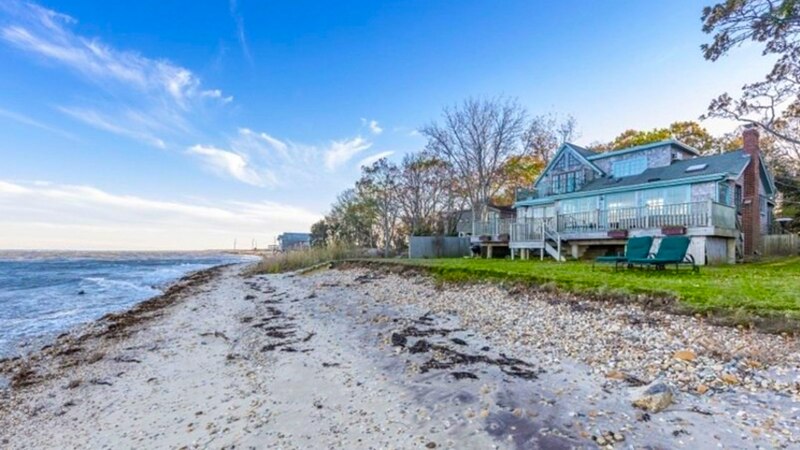 So, if noisy neighbors and crowded beaches drive you absolutely crazy, this might be the East End home of your dreams.